Home ⋆ Borene Law Firm, P. A.
Borene Law Firm lawyers and case managers work together in teams to serve you, our clients. Together, we have more than 125 years of immigration casework experience. We use our world-class immigration expertise, customized strategic planning, concierge-level professional service and teamwork to get results for your business, your family and immigration clients worldwide. Our hallmark is our professional service and our ability to analyze, strategize and deliver results for you. We are business savvy. We offer resourceful solutions for start-ups, large and small manufacturers, large and small corporations in many industries, including healthcare, education and many others. We offer solutions for families and individuals as well. We handle complex and urgent cases. During the past 35 years, the attorneys with our firm have represented thousands of immigration clients from every region of the world and more than 150 countries. We put this experience to work for you. 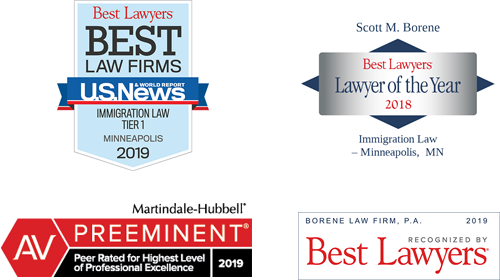 Scott Borene, the firm’s founder and Managing Attorney, has been repeatedly recognized in surveys of other lawyers as one of the Top 20 Lawyers in the World in Corporate Immigration Law, “most highly regarded” by other lawyers – Who’s Who Legal. He is often called upon to act as an “expert’s expert” by other lawyers. The Borene Law Firm, with highly experienced immigration attorneys and staff, provides for you world-wide professional legal service for selected business and individual clients for all types of immigration and visa-related matters, including green cards, work visas and family immigration. Over the years, we have found some basic principles helpful to our clients. Here are a few thoughts to keep in mind. On March 20, the ABA issued a new report on “Reforming the Immigration System” declaring that U.S. immigration courts are “irredeemably dysfunctional”. The report cites backlogs that have grown from 262,000 cases in 2010 to more than 800,000 cases in 2019. The ABA makes more than 100 recommendations to reform the immigration court system and calls for Congress to establish truly independent judges instead of Justice Department administrative judges. Jeanne Kildow will be speaking on “Employment-Based Immigration Preference Categories” at the 2019 American Immigration Lawyers Annual Conference. George Maxwell will be speaking on “Employment Based Immigration Options Under the Trump Administration: When Might You Need Your Federal Litigator on Speed Dial,” at the 2019 International Business Law Institute Seminar – Managing Business Crises in an Age of Anxiety on April 17, 2019. 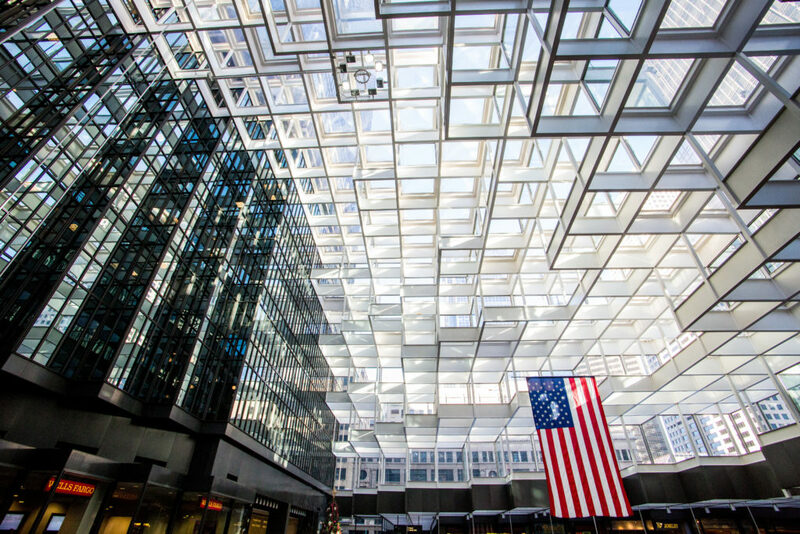 Attorneys Scott Borene and George Maxwell attended the annual Spring Conference of the American Immigration Lawyers Association, held in Washington DC. While in DC, they will be visiting with Minnesota Congressional Representatives in support of immigration reform.